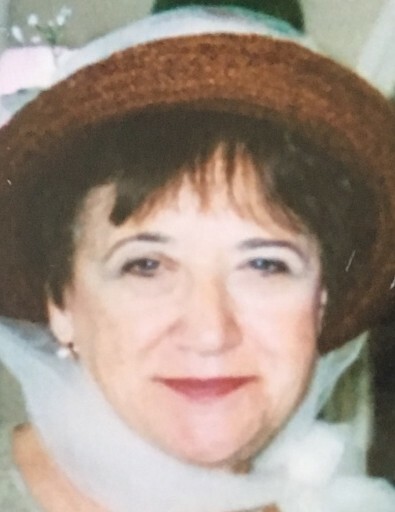 Obituary for Susan M. (DeFonza) Koch | Devlin-Rosmos-Kepp F.H. & C. S.
Susan M. (DeFonza) Koch, most recently of Phoenixville, Pennsylvania, died on Sunday, December 2, 2018. She was 80 years old. Sue was born on December 17, 1937 in Plainfield, NJ, to Dominick A. and Philomena N. (Brunetti) DeFonza, who both immigrated to the United States from Italy in their teens. Dominick was a successful tailor and investor, and Philomena was a homemaker who attempted to corral Sue and her older brother, Lou. Sue attended both parochial and public schools and graduated from Plainfield High School in 1956. Dominick was a loving but forceful personality and she was crushed when he died, far too young, in 1963. In 1958, Sue married Paul L. Koch, a high school friend, after his honorable discharge from the Marines. They initially settled in Plainfield, where their two children (Paul Jr. and Karen) were born. In 1969, they moved to central Pennsylvania, the land of Paul’s people, where he spent many happy summers as a boy. Their first home in Unityville was the suite of many adventures, but was too remote for a woman from New York City suburbs. Soon after their move to a more cosmopolitan setting on Rabbittown Road, Pennsdale, Sue took a job as an administrative assistant in the Office of the District Magistrate. Working with cops must have suited her style, because after moving to New Hampshire in the early 1980s, Sue worked for the Portsmouth NH Police Department. Following her retirement, Sue first relocated to Little Egg Harbor, NJ, before settling in Phoenixville to be closer to her daughter and her family. Sue was an outgoing person who made friends easily, but kept many for a long time and cared about them deeply. Her sense of humor, which she shared with her brother Lou, was wicked and frequently earthy. Upon the arrival of her first granddaughter, she rebranded herself as Grammy GoGo, but was most often just called GoGo. She loved to ‘boogie’ and well into her seventies was out late with invariably younger friends attending shows. After her husband's death in 1991, Sue ventured out in different ways, dating again, studying to be a paralegal, and serving as a mediator for troubled youth. In the 2004, she volunteered for the Kerry presidential campaign and she became a more outspoken and committed liberal as the years passed. Sue loved and was loved by her family and friends. She is survived by her children, Paul Koch of Santa Cruz, CA, and Karen (Ron) Ferry of Phoenixville, PA, and two grandchildren, Emma and Lila Ferry. Also surviving are her sister-in-law Ethel Santaguida, her nephews Lou and Danny (Ramona) DeFonza and her nieces Betsy (Rick) Renna and Diane (Nick) DeMarco. In addition to her parents and husband, Sue is preceded in death by brother, Lou DeFonza, and nephew, Michael DeFonza. She will be missed by the many friends she touched around the country. A celebration of Sue’s life will be held in the new year. In lieu of flowers contributions may be made to St. Jude Children's Research Hospital, 501 St. Jude Place, Memphis, TN 38105.